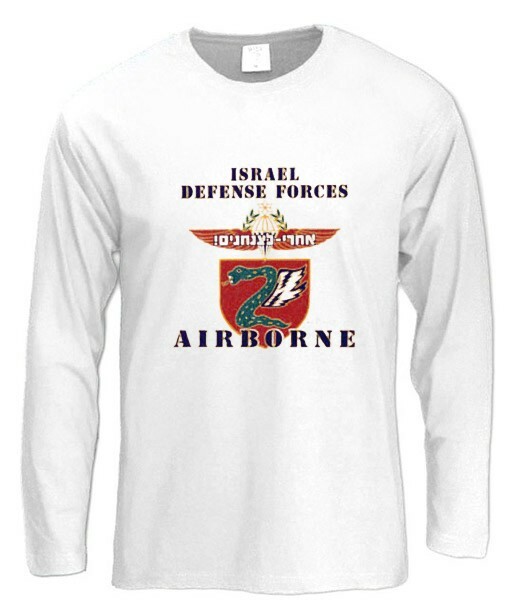 Vintage T-Shirt of Israel Defense Force. One of the most famous quotations from the Israeli army is "AFTER ME TO THE AIRBORNE COMMANDOS". 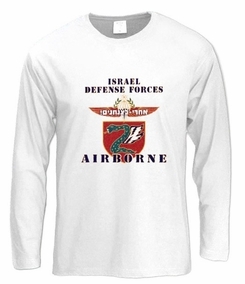 This colorful shirt features the Airborne emblem, the famous quote and big banner "ISRAEL DEFENSE FORCES". Our t-shirts are made of 100% cotton and are long lasting with bright colors. Our products are all designed and printed in Israel.